Hotel ibis Styles Hamburg Alster City. Book your hotel now! The 2-star Superior hotel is in a peaceful location to the north-east of the Outer Alster Lake. It offers excellent transport links, with the city center only 3.1 miles (5 km) away. Feel right at home thanks to the modern and comfortable furnishings and relax in our Welcome Lounge. In the evening, why not visit our hotel bar and enjoy the warm atmosphere? Let us spoil you at the end of your day. Very friendly and helpful staff. I enjoyed the buffet breakfast. The breakfast room has been redecorated since my previous visit, now much brighter and relaxing. Comfortable room, especially the bed - I slept very well. The hotel is in a quiet location about a 10 min amble from Hamburger Straße U-Bahn station, where there are very frequent trains to the main station and the city centre. The airport is a 20 min journey with a change at Barmbek.. I have stayed here many times before and hope to return towards the end of this year. Easy arrival / check-in process, high quality of breakfast (including pancakes *g* ) - beds very comfortable for a good rest. Rooms quite big. Convenient even if staying without car. Personnel very friendly. Dear guest, thank you very much for your great feedback. We are very glad that you enjoyed your stay in our hotel. We are happy to welcome you again :-) With sunny regards. This was my second visit ths year. I have used this hotel several times previously and hope to do again next year., As usual in IBIS Hotels, the bed was extremely comfortable. Good cold buffet breakfast in a pleasant light room. Hotel is in a quiet location. Large comfortabe bed in a spacious room with plenty of storage space. The enjoyable buffet breakfast is taken in a light room with plenty of seating at separate tables. The hotel is about a ten minutes stroll to Hamburger Straße U-Bahn station. There is a frequent service to the main sation and city centre. The airport is a 15min journey with one change.. I have stayed at the hotel on many occasions and will be returning in September. Dear ALANMaidenhead, it is pleasure for us to read your feedback. Thank you! We are looking forward to your next stay with us. Sunny greetings. Hotel room without air condition should be state of the art at Ibis Style in 2018. Parking garage (lifting platform) is very narrow, due to that car door was damaged. Outside parking due to resident parking not possible. Dear Pedro_VX100, We want to thank you for your feedback and for your time you invested for your description of our service features. Much to our regret we did not fulfill your expectations. It is true that we don’t have any air conditioning in our hotel. This is mentioned at our homepage. We are sorry to hear that you had difficulties with our parking lots. Sadly we can’t track down the mentioned issue. It anything like this happens to you again please inform the staff immediately so we they can find a solution with you. We are very thankful for honest feedback and hope to welcome you again. Best regards! The hotel is relatively close to the airport about 10 to 15 minutes drive. Given a 2-star hotel with the facilities, service and the conditions of the room being very basic, I consider its price is relatively high though the price has included breakfast. Afterall, I would rather pay a little more for Sofitel Hamburg Altar Wall. Having said that, Ibis is barely acceptable as a 2-star hotel. Dear wltam013, Thank you very much for your nice comment - we really appreciate it! We are happy to hear you feel comfortable at our hotel and hopefully we may welcome you again soon! Best regards! A very nice hotel, with good and clean rooms, satisfactory breakfast, helpful staff. Location is satisfactory; on a quiet street a few hundred meters from U-Bahn station. I would recommend this hotel to my friends. Dear 846vedati, many thanks for your great comment. It was a pleasure to have you with us. We hope to welcome you again soon. Best regards from Hamburg! I like this hotel and stay here every time visiting Hamburg. Very calm district with wasy access to public transport and supermarkets. Good breakfast, friendly staff, clean room, and ibis styles service. Dear Valeriy_nk, thank you very much for your great feedback. We are very glad that you enjoyed your stay in Hamburg. Looking forward to welcome you again soon. Kind regards! Very friendly and helpful staff especially at the reception. Comfortable room with plenty of storage space, large very comfortable bed. Well presented buffet breakfast in a large light room. Located in a quiet road, a five minute walk to Hamburger Straße U-Bahn station. Have stayed here at least three times before. Will probably return next year. This was my third stay at Ibis Styles Alster City. Everything was fine, as always. 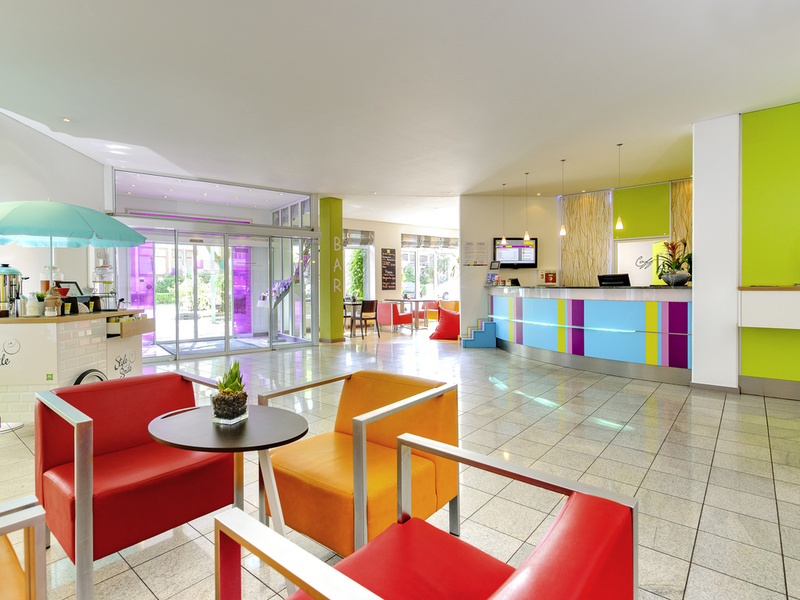 This is one of my favourites among all Ibis hotels. Dear guydxxx, thank you for your comment and the time you invested. Sadly we could not convince you with all of our provided services. Please be assured that the noise of planes is not a problem our guests have to suffer usually. During your time at our hotel the airport had technical issues. For that the flight corridor had to be changed. We thank you again for your honest feedback and still try our best to achieve our self defined targets. But for all that we would be very happy welcoming you again soon. Very friendly staff. Hotel very clean. Room featured a large, very comfortable bed. An enjoyable buffet breakfast in a bright very pleasant room with plenty of seating, incuding tables for 1 or 2 guests. Situated a short walk from Hamburger Straße U-Bahn station with frequent trains to the main station and the city centre. Easy journey to Hamburg Airport. This was my third visit. Dear Mr. Maidenhead, thank you for your feedback. It was great to have you staying with us. We are looking forward to welcome you again. I really enjoyed my stay there, the room was nice, the reception service was great and really helpful. Nice and quiet stay. The hotel is comfortable but not luxurious. Good quality / price. Good service.